As a youngster he played for Watford before moving to St. Mirren. He returned to England to play for Maldon and Tiptree from where he was loaned to Colchester United, playing every game for their under twenty-threes. 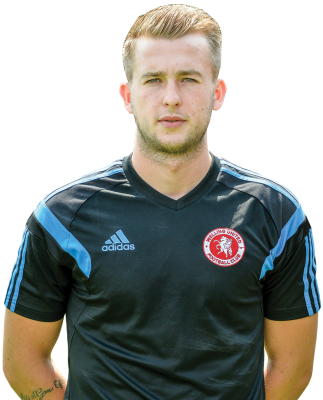 Following a one month loan at Whitehawk last season, the move was made permanent and he went on to gain England C honours. Steve King brought him with him to Welling in the summer.